The Ping G30 is a great driver, long and forgiving. Ping generally don't launch a new driver unless it's better then their old one. The launch of the new G driver sparked some curiosity to see how it would improve upon the G30. We got 4 players to test the two drivers. Each hit 12 drives with both clubs and we used Trackman to record the results. Each player used used a shaft suitable to them and used the same shaft in the G and the G30, this way we could measure how much difference there was between the heads only. With one player we had a different model G to G30 as he wanted to see speed differences only with the other three players the same model G and G30 was used to make a direct comparison between the two heads. Titleist Pro V1 balls were used in the testing. 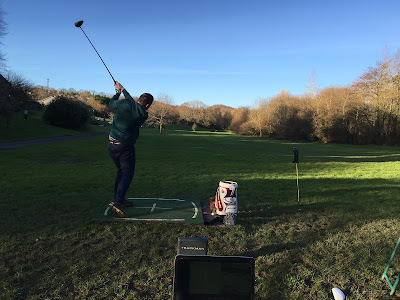 The results we wanted to compare were Club Head Speed, Ball Speed, Carry Distance, Overall Distance, Lateral Distance from Target, Launch Angle and Spin Rate. Player A used a 10.5 degree G and G30 with a Diamana S+ Blue 62 S Shaft. Player B used a 9 Degree G LS Tec and G30 LS Tec with a Diamana 'Ahina 70 X Shaft. Club head speed was higher in the G then the G30 for all players between 0.5 and 3 mph faster. Ball speed was faster for 3 out of 4 players, higher ball speed combined with optimal launch conditions is what leads to longer distance. Carry distances were longer for 3 out of 4 with gains of 3 to 6 yards with player B's carries almost identical. Overall distance was longer for 2 out of 4 players too with gains of 6-10 yards with the G30 being longer for player B by 2.5 and Player A's being identical. Accuracy was down in the G over the G30. The G30 was 15-20% more accurate then the G. Spin rates were similar for players A and B, with player C's spin rates lower in the G. Player D had two slightly different heads meaning the spins can't be compared directly. Interestingly player A's spin rates were an average of 3000 rpm in both drivers, an unusual sight seeing such a round number. It would seem that Ping have delivered a better driver in the G then the G30, the 'Vortec' technology in the head has delivered more club head speed. More club head speed should lead to more ball speed and more distance as a result. Other tests have shown that the G seems to spin more then the G30, this wasn't apparent in this test, however the G delivered more height for all players. If you're going from the G30 to the G it would be best to alter the specifications of the G. Spending some time on a launch monitor such as Trackman fine tuning the flight would be well worth doing. E.G. Player A lowered the loft on his G after the test to bring down the flight and gain a little more run. Should you jump from the G30 to the G? The answer is maybe, more speed but perhaps a trade off in accuracy, your best bet is to test both. If you're in the market for a new driver should you look at the G? Definitely, Ping are a great club maker and rarely make a bad one, the G is one of their best.